One of my favorites, Life In Shambles, finally got that stakes win!!!! Yahoo Caribou Club! I have been cheering for this guy since he won the Laurel Futurity at 2! He’s had a good year with two graded wins. Another City Zip. Is it just me or is Life in Shambles on the big side? He just seems so much larger, or muscular, than the others in the race. 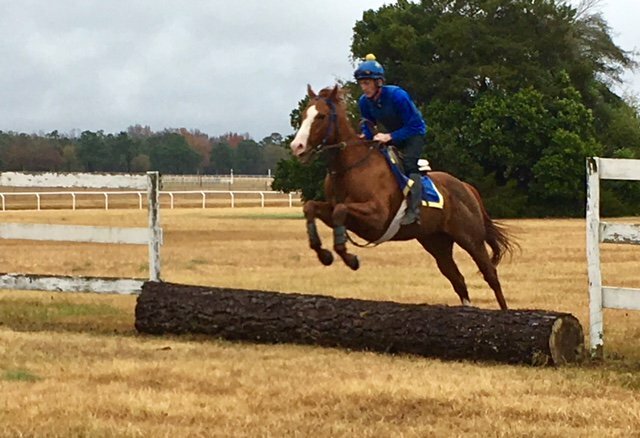 Kasseopia won his long battle with the starting gate and is now trying the jumps with Kate Dalton in Camden, SC.